Record Nations can help you find a high-quality, document scanning service to significantly increase the efficiency of your company’s document management operations. Local professionals are partnered with Record Nations to provide your business with the most relevant and affordable services. 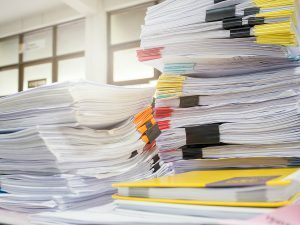 Below are resources to find more information on document scanning services, from the planning stage to the options available upon completion. For just about every industry, utilizing a physical, offsite storage service can reap numerous benefits. By moving your physical files and documents offsite, you’ll immediately gain an increase in physical space at your location. Files are also tagged and indexed by your storage provider so your documents and files can be retrieved when you need them. Record storage providers will typically charge each service by the volume of documents that need to be stored. Additional service features can impact the final price of your document storage services, including document preparation, consulting services, quick-retrieval services, and others. For a more comprehensive list of additional service options and pricing factors, click the service link above. Once your documents are scanned, accessing your files are made fast and easy. You can choose to house your newly created, electronic files on CD’s, cloud storage solutions, hard drives, or a document management system that seamlessly collaborates with your business. Record Nations is your resource to finding reliable, secure, and quality document scanning services for your business. We provide you with free quotes from locally-based and operated contractors based on your area. To get your free quotes in just minutes, fill out the form on the right or give us a call at (866) 385-3706.